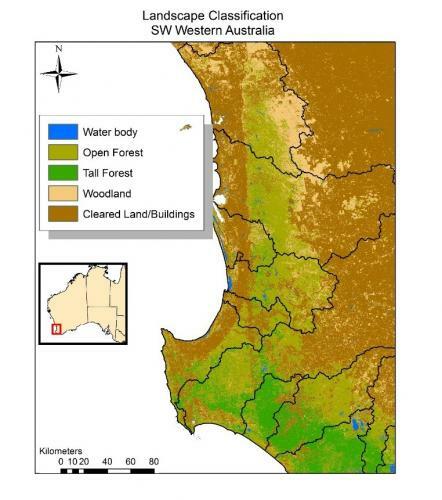 Thesis: Modelling the ecological characteristics of the South-Western Australian eucalypt Forests’ for species conservation and multiple use zones. This research seeks to model the shifting ranges of species as a response to climate change whilst also developing methods and strategies for utilizing landscapes in manners that provide value for our economies and environments. New methods for assessing links of species's to their environments on regional and global scales will be developed and frameworks that will assess environmental change and its impact on species ranges will be explored.